If you missed Part 1 (Episodes 2×01 to 2×05), you can find the post here. For Part 2 (Episodes 2×06 to 2×10), you go there. Part 3 (Episodes 2×11 to 2×15) can be found here and for Part 4 (Episodes 2×16 to 2×20), you follow through here. The Official Stills for the last two episodes of Season 2 were done by Jace Downs. It’s been a while since he worked on the Reboot; providing the Stills for 7 episodes out of the first 8 episodes in Season 1. For this episode, CBS released 8 Official Stills. MY FAVORITE: Mac on his way to do great things. NOW THAT’S DISAPPOINTING: Stills of various scenes, taken outside during daylight which makes for better lighting. Nothing to complain here. For this episode, we only got 4 Official Stills via SpoilerTV. MY FAVORITE: Mac and Jack posing as if they are doing a photoshoot on the race track (which they kinda are). For the Season Finale Episode of Season 2, TV Line released an exclusive First Look photo on April 25. Five days later, SpoilerTV provided 7 additional Stills. MY FAVORITE: Technically, it’s not really an Official Still and more of a First Look Screenshot, but… it’s Mac and Oversight, also known as (insert Spoiler Alert). The runner-up is an Official Still, though. It’s Mac and a Jeep which is always great to see. NOW THAT’S DISAPPOINTING: It would have been nice to have a bit more promo for the Season Finale. It’s an episode that has a deep impact on all the characters and might influence the major storyline on the upcoming 3rd Season. Maybe an additional photoshoot instead of just Stills and Sneak Peeks as usual? The Season 2 Finale has aired four weeks ago, so no new episodes at the moment. Fans don’t have to be sad, though: Filming for Season 3 should start next month in Atlanta. The Season 2 Finale aired on May 4. Some of the cast and crew enjoyed some downtime while others already started working on new (and old) projects. Reboot-related, it’s gotten pretty quiet on social media. Every now and then, cast or crew upload a never-seen-before BtS photo (e.g. Jake Alvarez or Steve Serna), but it’s not always clear what episode it belongs to. 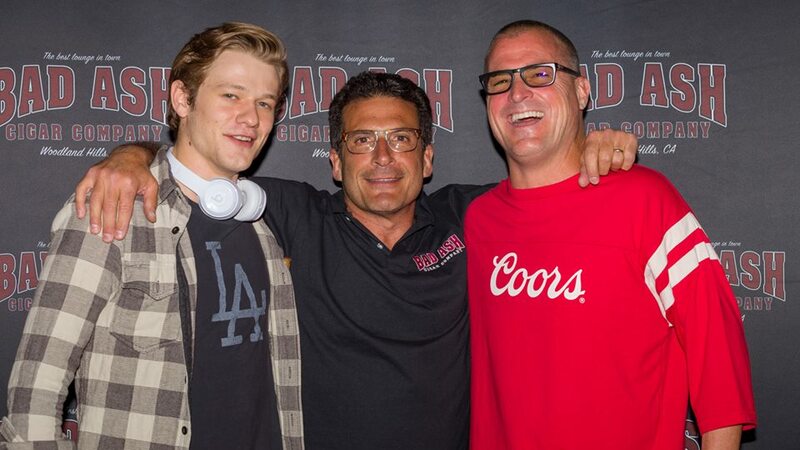 Lucas Till has been spending some time in LA since production wrapped. Besides live-tweeting from the Paramount studio lot when the Season Finale aired, he also celebrated Peter Lenkov’s birthday. On May 19, he attended the 10-year-anniversary-screening (including a Q&A) for Dance of the Dead, a zombie comedy filmed when he was 16. 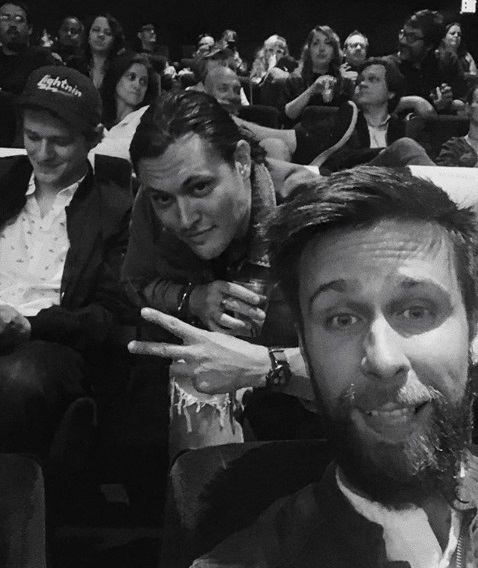 On May 23, Lucas and his manager Tom attended one of Justin Hires’ stand-up-comedy-shows. Judging by the videos, they all had a good time. Justin did a handful of comedy shows in different cities during the last few weeks. We haven’t heard any news about the movie project he is attached to. It’s possible the movie got delayed and might not go into production this year. George Eads enjoyed some holidays on the Bahamas and keeps making the most of his time to spend with his family, the dogs or his two wheels. Executive Producer Peter Lenkov’s long-time dream project Magnum has been ordered to series by CBS; meaning that at the moment, he’s the showrunner for three shows (MacGyver, Hawaii Five-0 and Magnum) while co-producing another show (Salvation). He already had meetings with the writer’s team for Magnum; securing the first scripts. As expected, there has been a slow, but steady loss of audience numbers nearing Summer. The Season Finale (2×23: MacGyver + MacGyver) reached 6.10 million live viewers and an all-time-low rating of 0.6 in demo. If you felt that my comments on the ratings in my latest blog update post (e.g. regarding risk of cancellation or budget cuts) were too negative, be aware that the other CBS shows have been suffering losses in ratings as well – even more this year since due to the Olympics, most Season Finale Episodes aired 2 to 4 weeks later than they usually do. Looking at the Season Finale of Hawaii Five-0 on May 18, the show garnered an all-time-low of 6.62 million viewers and a 0.7 in demo when it aired between Celebrity Undercover Boss and a re-run of Blue Bloods. The ratings for the Season Finales might not be that important as how the shows did overall this season. Due to Celebrity Undercover Boss, there are no Reboot re-runs at the moment – contrary to H50 or Blue Bloods. Last year, there had been MacGyver re-runs through all of June and the first half of July. Celebrity Undercover Boss is scheduled for Fridays 8pm until at least July 13, so we can only hope there will be some re-runs after that date to keep people interested in the show. Sadly, we didn’t get any additional promo by Lucas or Lenkov for the Season Finale. 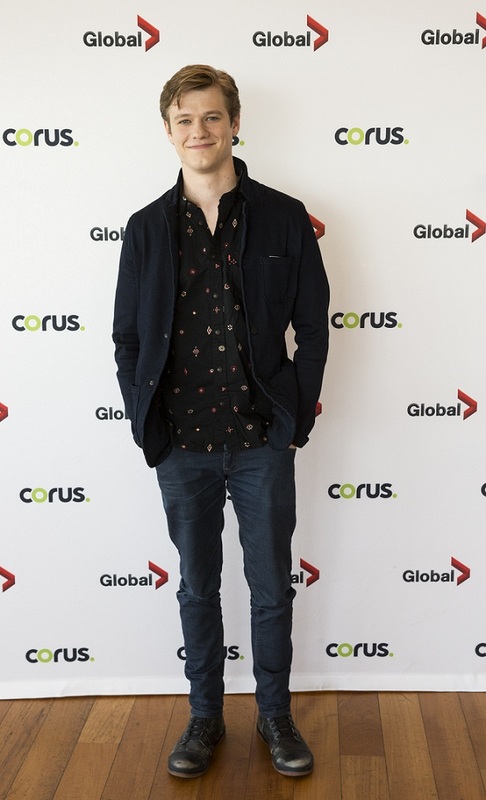 A year ago, Lucas attended the Corus Upfronts in Toronto and the Monte Carlo Television Festival during hiatus. It’s not clear yet if he will do some more promo this Summer as well before they start filming for Season 3. There’s a good chance there will be a Magnum Panel at Comic Con San Diego next month. If Lenkov attends, there’s a possibility of some interviews and him talking about MacGyver as well. It would be nice to hear something about Season 3 and what’s in store for us. The Reboot has been renewed for a 3rd Season and will air in its old timeslot (Friday, 8pm), starting this Fall. The Premiere Date still hasn’t been set yet, but it’s probably either September 21 or September 28. Unless we hear otherwise, I’m assuming it will be a direct Full Season Order of 22 episodes. Both Showrunner Peter Lenkov and Co-Showrunner Craig O’Neill signed on for a new overall deal for CBS TV Studios. Lenkov will continue as Executive Producer on his four drama series (MacGyver, Hawaii Five-0, Magnum PI and Salvation). Additionally, he is ramping up his production company (101st Street Entertainment), to develop new projects. O’Neill also will continue as Executive Producer and Co-Showrunner on the Reboot, in addition to developing new series for broadcast, cable and streaming services. Otherwise, there’s no mentionable news that I know of. No Casting Calls have been made yet. Last year, Justin Hires revealed the title of Episode 2×01 (DIY or DIE) around June 5 by posting a picture of the script title page on Instagram. If we’re lucky, someone will let us in on the secret for 3×01 soon. There were times when the promo load was so intense that I couldn’t cover it all in my blog posts. Here’s an excerpt of a Yahoo! interview done back in April 2017 for the Season 1 Finale. I really want to see some BtS material of these two guys in a “cauldron”. German FreeTV channel Sat.1 will start airing Season 2 on July 9. It’s not clear yet if they’ll also air the skipped Episode 1×19 (Compass) as promised. Like for Season 1 in June last year, they will air 2 episodes every Monday at prime time, starting 8.15pm – followed by the premiere of SEAL Team, another CBS show. The Season 2 Finale has aired two weeks ago, so no new episodes at the moment. Fans don’t have to be sad, though: Filming for Season 3 should start in July in Atlanta. 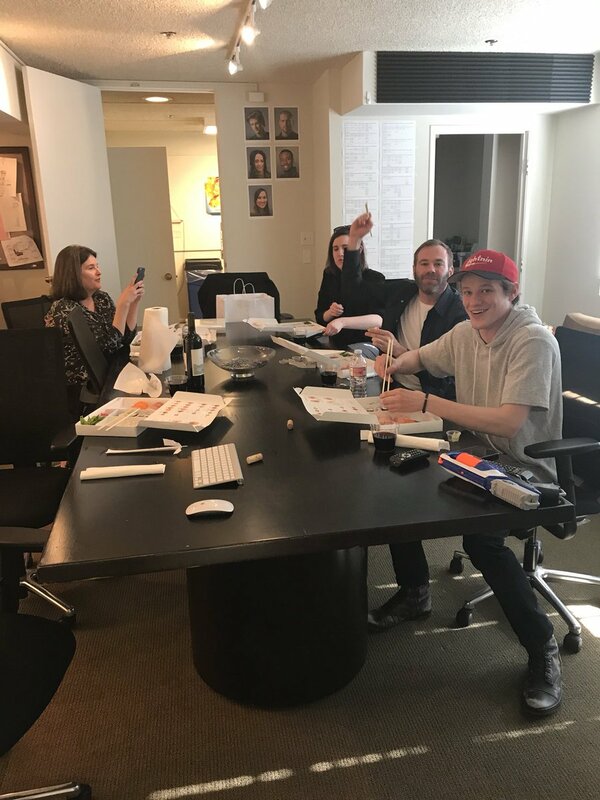 Main production wrapped on March 24 and the Season 2 Finale aired on May 4. It’s been quiet on social media lately. Some of the cast and crew enjoyed holidays and birthday parties or celebrated sobriety milestones while others started working on new projects. Sadly, there weren’t many BtS photos of the Extras and guest-stars for the S2 Finale Episode. 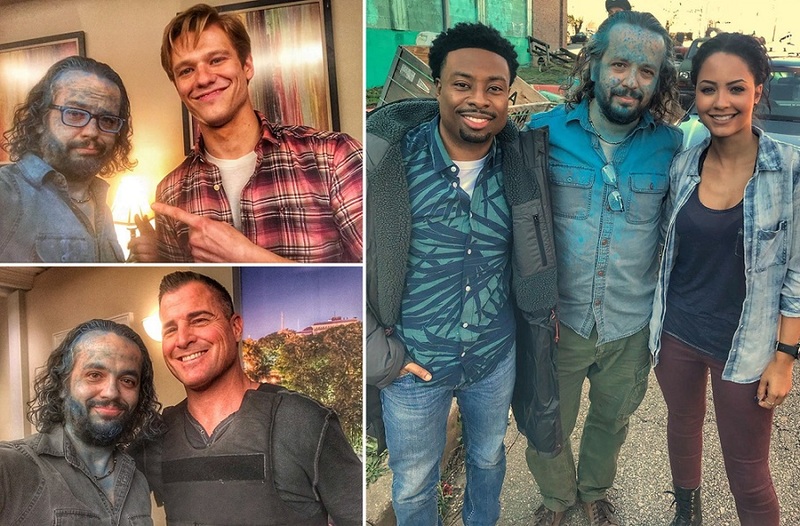 Kevin Marshall Pinkney (Stand-In for Justin Hires) re-posted a BtS photo of the Stand-Ins of Season 2. 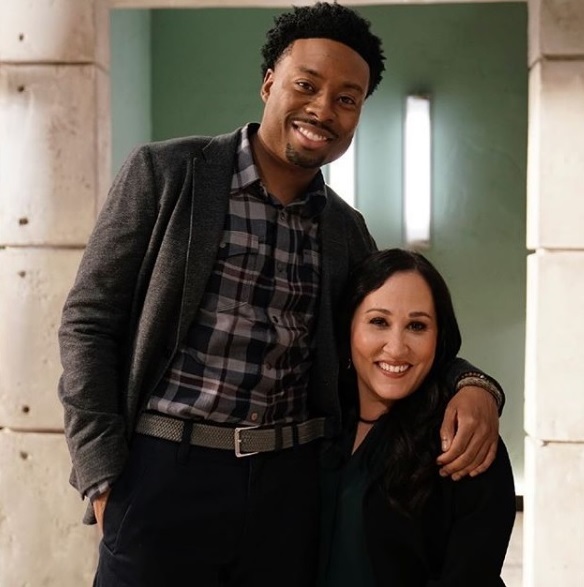 Both Meredith Eaton and Justin Hires posted some more pictures of themselves with the main cast. Every now and then, cast or crew upload a never-seen-before BtS photo (e.g. Jake Alvarez), though it’s not always clear what episode it belongs to. Tomorrow, Lucas will attend a Q&A to celebrate the 10-year-anniversary of his movie Dance of the Dead, a zombie comedy filmed when he was 16. There has been a slow, but steady loss of audience numbers nearing Summer. To freshen up your memory: Episode 2×22 (UFO + Area 51) pulled in 6.26 million live viewers, but lost in the important demo-rating and only got an 0.7 in the important demo group of 18-49 year-olds. Sadly, May 4 was a bad day for TV in general – after a difficult week overall with lower ratings: Basketball Games and sunny weather managed to impact the amount of people tuning in to regular TV. All shows struggled with a loss of ratings and audience numbers; the CBS shows included. While Hawaii Five-0 lost about 800’000 viewers and 0.2 in ratings compared to the week before, the Season 2 Finale of MacGyver only lost about 150’000 viewers and 0.1 in demo. Still, the overall numbers by themselves didn’t look too well, since Episode 2×23 reached 6.10 million live viewers and an all-time-low rating of 0.6 in demo. Demo-ratings like these often leads to shows being cancelled or suffering budget-cuts, so lets hope CBS sees this as a one-time-deal and believes in Season 3 getting higher ratings again. Back in September 2017, TV by the Numbers had predicted that CBS would most likely take over the No. 1 spot in both viewers and adults 18-49 on Friday. And yes, they had been right – although Hawaii Five-0 and Blue Bloods again did better in the ratings than the Reboot. 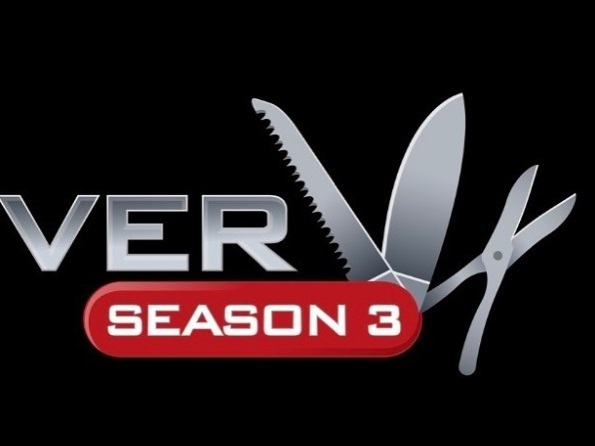 The Season 2 Finale included, Season 2 of MacGyver had an average demo-rating of 0.83 with 6.86 million live-viewers per episode. Looking at the Season 2 Premiere with 6.69 million live-viewers (and a demo of 0.8), the show didn’t lose too many viewers over the season, even surpassing 8 million live-viewers (with a demo of 1) around mid-season. It would have been nice if the show had ended with higher ratings, though – especially when considering the competing shows in the same timeslot were not as strong this season as they were in 2016/17 for Season 1. Also, the show could use some “safety-cushion” since competition will be stronger this Fall, so the ratings for Season 3 might be affected (see more about that further down). When Limitless got cancelled by CBS in 2016 after only one season, it had ended with less than 6 million live-viewers, but a better demo-rating of 1.14. In general, it had also better ratings than the Reboot on average per episode (7.05 million live-viewers with 1.34 in demo). Of course, the Reboot has a well-known name and better marketing and franchise potential. Along with Lethal Weapon, it was one of the best-sold show for international markets at the Upfronts 2016. Also, the syndication potential might help to achieve a fourth season (since syndication needs 88 episodes nowadays), but after that, it might be fair game and risking cancellation (as happened with Scorpion this year). Matt Carter published an interview with Meredith Eaton on May 3rd; asking several questions about the Season 2 Finale. Meredith was careful not to reveal too much about the up-coming plot twist, so I was a bit suprised when CBS released 3 Sneak Peeks; two of them spoiling a majority of the fans who hadn’t yet figured out who MacGyver Senior is. Entertainment Tonight shared another exclusive Sneak Peek, also with Mac and his father. When they rebooted it, it was in my contract to be part of the series. I was supposed to be in name only, but I get along so well with the man who runs it, Peter Lenkov, that I go in and edit the show with him. We sit in the room and have a fabulous time together. It was picked up for a third season, so I’m doing nothing but saying thank you, thank you lord. A lot of shows never get to the third season. There’s an alchemy [to making a TV show] I don’t even get after all of these years. It’s a miracle! All you can do is the best that you can bring to the moment, that day, on the show. And everything else, you just have to let it melt into the cosmos. You have no control. The Reboot has been renewed for a 3rd Season. The Premiere Date hasn’t been set yet, but it should be sometime in September. Shortly before the CBS Upfronts on May 16, CBS released the schedule for their Fall shows and revealed that the Reboot will stay in its old timeslot of Friday, 8pm. Unless we hear otherwise, I’m assuming it will be a direct Full Season Order of 22 episodes again. We haven’t heard any new infos about the cast for next season, either. 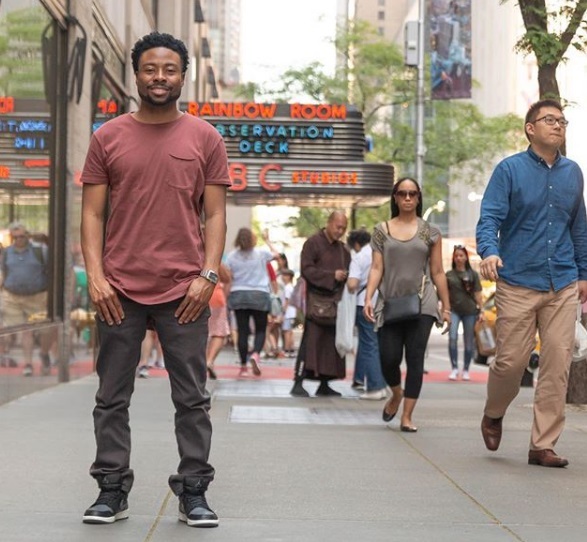 Justin Hires is attached to produce and star in Homecoming, a comedic movie he also wrote the script for. It looks like the project got delayed, so I’m not sure what this means for Justin’s involvement. If I remember correctly, the movie was supposed to film this summer, so I assumed Bozer might have reduced on-screen-time in the beginning of Season 3. Either the movie will be made next year, or Bozer might go on extended vacation – unless Justin is willing to juggle both projects by dropping out of playing one of the Homecoming lead roles. In the Season Finale Episode, Matty offered Bozer’s girlfriend Leanna a job at Phoenix. Reign Edwards’ level of engagement may vary, depending if she’s a field agent or rather staying in the lab. Also, while Reign just finished her long run on The Bold and the Beautiful, she’s back for her “old” show Snowfall. Since that show only has 10 episodes per season and premieres in July as a Summer show, she could manage to be a regular cast member on the Reboot for the full Season. I’m not sure yet about the guest cast. Jermaine Rivers will be back on the new season of The Gifted. Both Javicia Leslie (Jesse Colton) and Sheryl Lee Ralph (Mama Colton) are attached to new TV shows this fall while Lance Gross (Billy Colton) will probably be working on his renewed show Star again. The Season Finale Episode implied that Billy expects Riley to make a decision that will have an impact on their relationship, but it’s not clear yet if that means Billy will be seen more often or completey fall out of the picture. There could be trouble in Paradise if Riley decides to say “No” to Billy’s offer to come working with the Coltons, after all. I’m assuming we will see Riley’s parents (Michael Michele and Billy Baldwin) again in at least one episode. David Dastmalchian’s Murdoc is a likely bet and Michael Des Barres and his fans have been very vocal about wanting him being back for another episode. On May 2nd, a Portuguese news outlet did an interview with Diogo Morgado (who played Mac’s friend Carlos in Episode 2×21); “revealing” that he will come back as a recurring character next season. Diogo denied the statement, saying that there is a misquote in said interwiew and that nothing has been decided yet. Thinking about the plot twist in the Season Finale, it wouldn’t be a bad idea to have MacGyver help Carlos re-building more homes in Puerto Rico in the Season 3 Premiere. Peter Lenkov’s long-time dream project Magnum has been ordered to series by CBS; meaning that at the moment, he’s the showrunner for three shows (MacGyver, Hawaii Five-0 and Magnum) while co-producing another show (Salvation). Since both Magnum and H50 are being filmed in Hawaii, we’ll have to wait if that means he might temporarily move there to oversee things and if his involvement for the MacGyver Reboot will change if the work-load gets too much. Technically, editing work can be done anywhere with the right equipment, so maybe there will be no changes (besides seeing a bunch of Magnum BtS material on Lenkov’s Instagram). As mentioned above, Season 3 will air on Friday 8pm, followed by Hawaii Five-0 and Blue Bloods as usual. Let’s take a look at the competition, which is stronger than last year and might have an impact on the ratings. Good News first: Similar to Season 2, Dynasty (CW) shouldn’t be a problem since its ratings are marginal (690’000 live-viewers with a demo-rating of 0.19). Blindspot (NBC) also got the same timeslot again. It had about 3.3 million live-viewers this season with a demo of 0.62 so far (the Season Finale will air today). It lost in ratings since its last season and is down to 2.8 million live-viewers at the moment, but has a similar target audience age-wise. The ones that avidly watched Blindspot so far will probably stick to it. If they want a change in “drama scenery”, they might flock over to MacGyver (and vice versa). The situation with Last Man Standing (FOX) is a bit unique. It was the biggest competition against the Reboot in 2016 with about 6.4 million live-viewers on average and a demo of 1.15, sometimes surpassing the Reboot in the demo ratings. It got cancelled in 2017 and will be “resurrected” this year. Interestingly, the show had started with less than 6 million live-viewers on the day the Reboot premiered, then started to gain in audience numbers for every episode as the Reboot gradually lost some viewers. This might indicate that the shows shared a part of their audience; the Tim Allen fans going back to the show after snooping in for the Reboot. 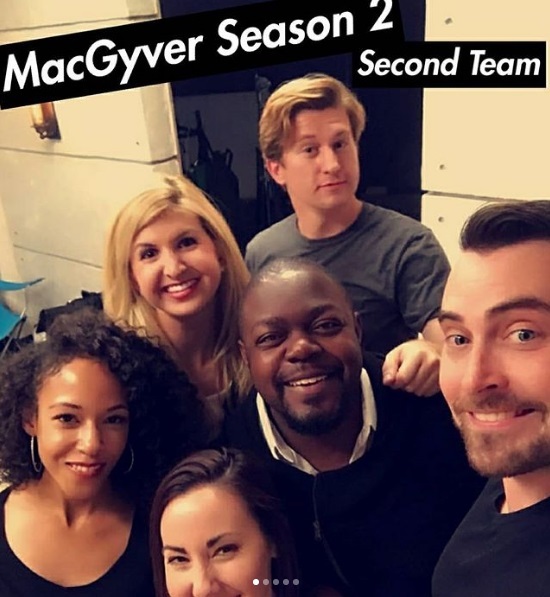 I guess it depends how strong the show will come back, but I think it will definitely affect the Reboot audience numbers – and if it’s as strong as before it was cancelled, maybe even cost MacGyver its usual timeslot win. The two shows on ABC are comedies with a new timeslot. Fresh Off The Boat had about 3.8 million live-viewers last season with a demo of 1. Spechless had about 4.3 million live-viewers and a demo of 1.1. For both shows, that’s more than Once Upon A Time had last year in the 8pm timeslot and could cost the Reboot a few more viewers. The Cool Kids is a new show, so no clue how it will do. I’ll say most people watching Last Man Standing might either stay on FOX for this one or switch over to ABC for some more comedy. In General, Season 2 of MacGyver was weaker in ratings than Season 1, but a lot stronger when it comes to the writing and the storylines. It also had some interesting guest-stars. The competing shows are stronger this year, but if the writers turn it up a notch with writing even better scripts and if the Reboot gets the same (or even a higher budget) as for Season 2, I think it can do well and succeed in getting renewed for another season. The rerun of Season 1 does still pretty well in Austria. The live-audience numbers were usually in the range of 50-60’000 viewers, but fell to a meager 26’000 three weeks ago. The numbers made it back to 47’000 two weeks ago and up to 53’000 last Saturday. There’s finally a date for the DVD-Release for Season 1 in Germany (July 6), but still no further infos about the extras on the Amazon DVD version yet. The version sold in Switzerland (starting July 5) will contain the same extras as the UK and the French version. It’s Season Finale Friday! Fans don’t have to be sad, though: The show will come back for a third season! Main production wrapped on March 24, cast and crew celebrating a small Wrap Party in Atlanta the next day. There was another wrap party in LA on April 21. 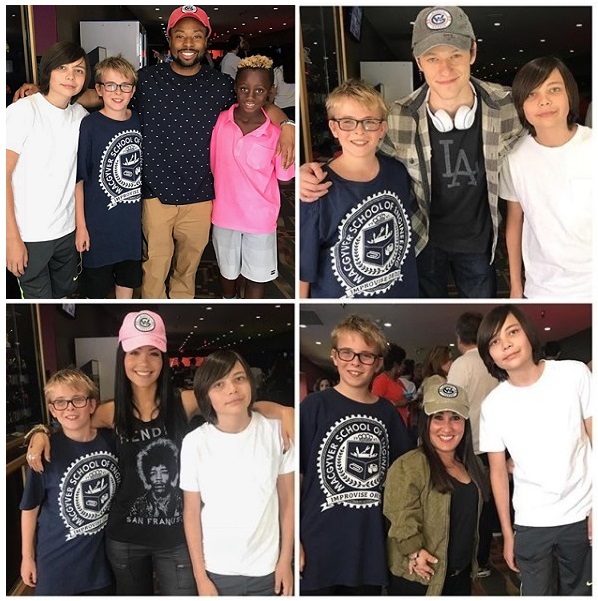 Executive Producer Peter Lenkov took the opportunity to get the cast to sign some hats for his son’s project “Wyatt’s Garage“. The main cast signed a hat that was auctioned off for a good cause last week (the auction closed at 750 US Dollars). 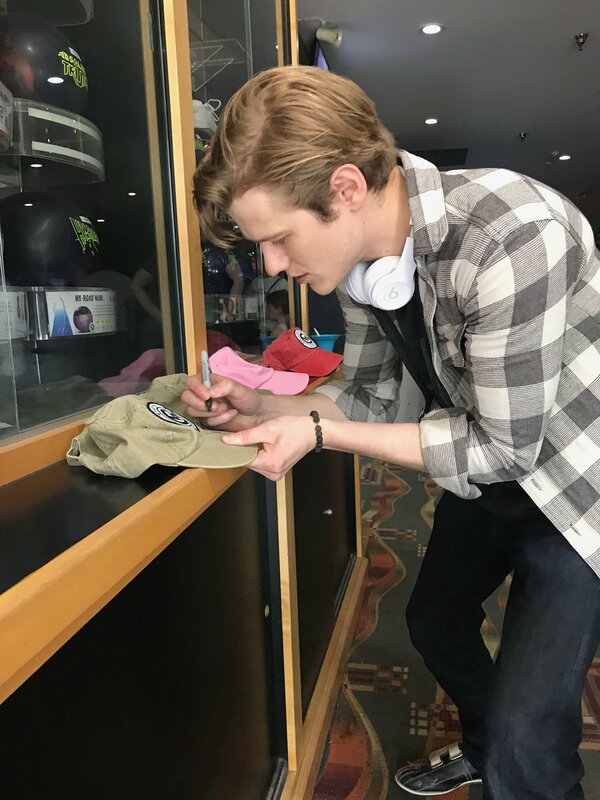 Another hat signed by Lucas Till was auctioned off this week, closing at 335 US Dollars. Some of the LA-based guest-stars had attended the Wrap Party in LA as well. Besides David Dastmalchian (Murdoc), Lance Gross (Billy Colton), Sheryl Lee Ralph (Mama Colton) or Michael Des Barres (Helman), Diogo Morgado (Mac’s friend Carlos from Episode 2×21) was part of the festivities. The cast continued to post some BtS photos every now and then, but it got awfully quiet before Season Finale day. 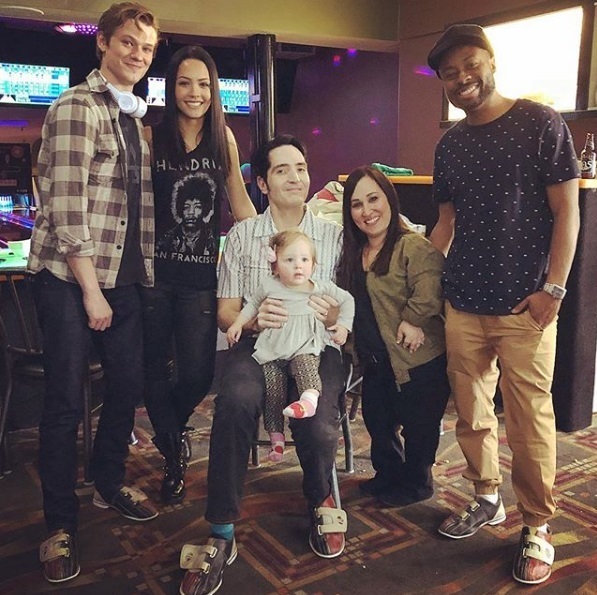 Both Justin Hires and Meredith Eaton posted some nice pictures of themselves with the main cast. While we got some BtS photos of the Extras and guest-stars for Episode 2×22 (UFO + Area 51) last week (e.g. via Christopher Frontiero), there weren’t many yet for today. 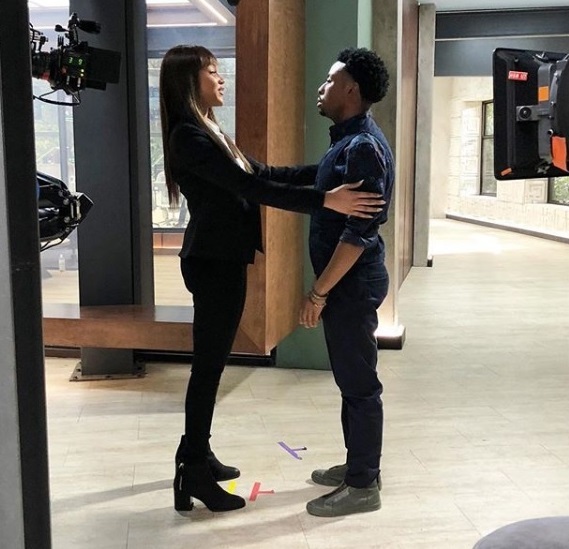 Kevin Marshall Pinkney, Stand-In for Justin Hires, posted a BtS photo of the Stand-Ins of Season 2. Stuntman Eric Van Arsdale posted a BtS video while filming the hangar-scene in Episode 2×02 (Muscle Car + Paper Clips). Also, we got a look at the Script Title Page of the Unaired Pilot we shouldn’t talk about. As expected, there has been a slow, but steady loss of audience numbers nearing Summer. To freshen up your memory: Episode 2×20 (Skyscraper – Power) had an audience of 6.38 million live viewers (with a 0.8 in the important demo-group) while Episode 2×21 (Wind + Water) managed 6.27 million live viewers (also with a 0.8 rating in demo). Last week’s Episode 2×22 (UFO + Area 51) pulled in 6.26 million live viewers, but lost in the important demo-rating and only got all-time-low of 0.7. Hopefully, it gets better ratings in tonight’s Season 2 Finale. Looking at the 22 episodes aired so far, Season 2 had an average demo-rating of 0.84 with 6.90 million live-viewers per episode. Compared to the Season 2 Premiere with 6.69 million live-viewers (and a demo of 0.8), the show didn’t lose many viewers over the season. It had pretty good ratings around mid-season, Episode 2×13 (CO2 Sensor + Tree Branch) with Ashley Tisdale reaching 8.14 million live-viewers (with a demo of 1). 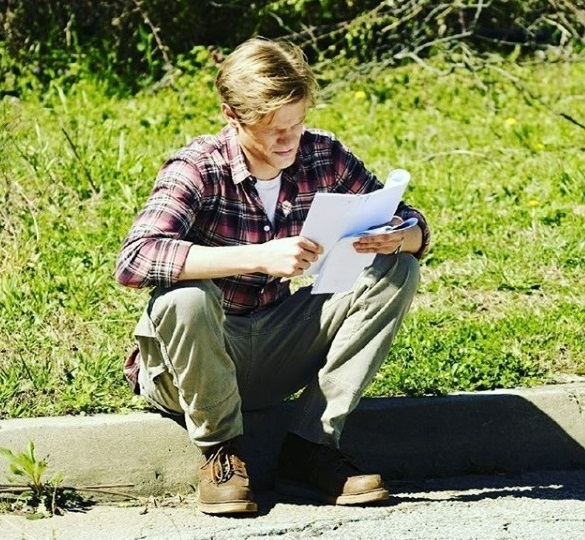 At the end of Episode 2×21 (Wind + Water), Lucas Till took part of a short PSA in the “CBS cares” series; informing about Hurricane Relief for Puerto Rico. He did another piece on Lupus, which might air sometime this month since May is “Lupus Awareness Month”. Only a few hours before the premiere of Episode 2×22 last week, SpoilerTV added more Stills and one Sneak Peek. There were a few exclusive storyline insights and an exclusive First Look of Tate Donovan as Oversight via TVLine as well, but I felt a bit annoyed that CBS has been so late with regular promo material for the last five or six episodes. For today, they were a day early; releasing 3 Sneak Peeks. While one featured Riley’s father Elwood meeting her new not-Boyfriend, the other 2 were scenes with Mac and his dad; therefore revealing already who MacGyver Senior is. Entertainment Tonight shared another exclusive Sneak Peek, also with Mac and his father. While it’s not so surprising to find out who Mac’s dad is after reading the Press Release, I’m still a bit surprised that they actually chose to reveal the big plot twist they have been building up over the whole season so many hours in advance. Matt Carter published an interview with Meredith Eaton on May 3rd; asking her about the Season 2 Finale and her character Matty. She revealed that the actors aren’t privy to the process of writing, so she was playing a character with secrets without really knowing what the secret actually was. She also stated that last week’s confrontation scene with Jack (2×22: UFO + Area 51) was one of her favorite scenes to film so far. Technical Advisor Rhett Allain published an article about the MacGyverism Mac had used for celestial navigation last week. Last year, the show got its one and only Primetime Emmy Nomination for Stunts (Outstanding Stunt Coordination for a Drama Series, Limited Series or Movie). Despite not being invited to be back on Season 3, Stunt Coordinator Jeff Wolfe handed in another Stunt Reel for the Emmy Awards. Let’s hope it scores another nomination – or even better – the win! The Reboot has been renewed for a 3rd Season. We should get more information shortly before the CBS Upfronts on May 16. For now, I’m assuming it will be a direct Full Season Order of 22 episodes again, with a Premiere date in September, airing on Fridays 8pm. It’s also safe to assume that the entire main cast will be back. 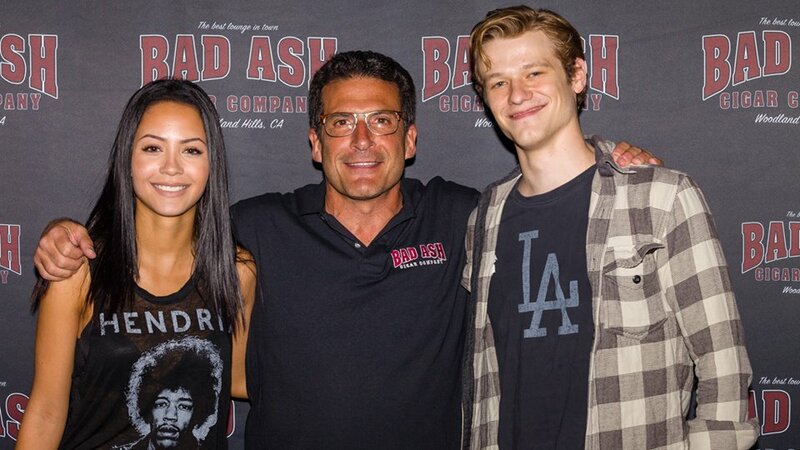 I speculated in my last blog post that some guests attending the LA Wrap Party could hint at them being back next Season. 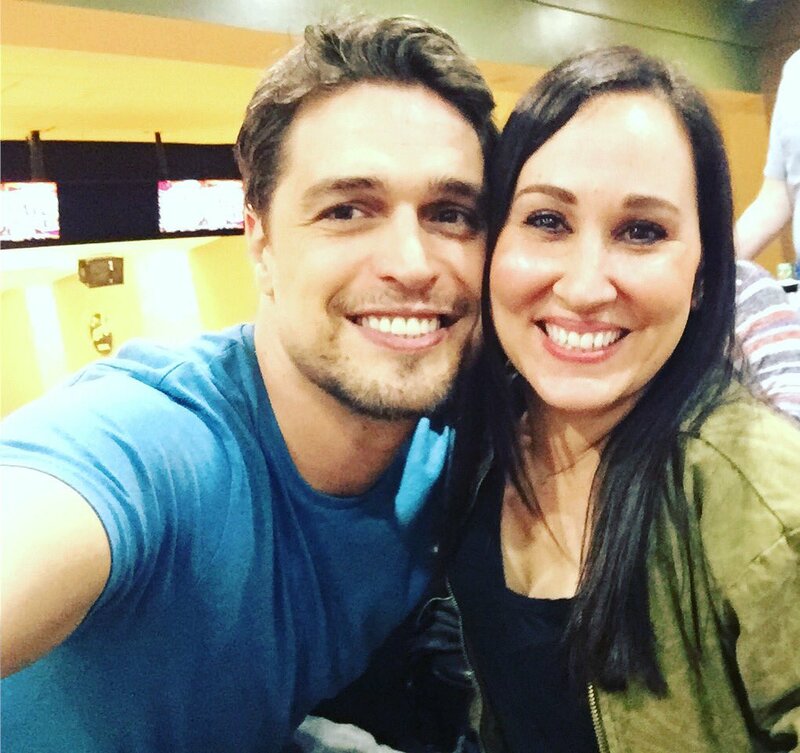 At least for Diogo Morgado, that seemed to ring true – for maybe half a day: A Portuguese news outlet that recently did an interview with Diogo “revealed” on May 2nd that he will come back as a recurring character next season. The article created quite a hubbubb among his fans and the fansites; sharing the news on Instagram and Twitter. Hours later, Diogo denied the statement, saying that there is a misquote in said interwiew and that nothing has been decided yet. Well, nothing has been decided yet doesn’t mean explicitly no and it seems interesting that the interviewer added that filming will begin in July. Either someone spilled the beans too early, or there have been discussions. Another appearance by Carlos wouldn’t seem that far-fetched, anyway. 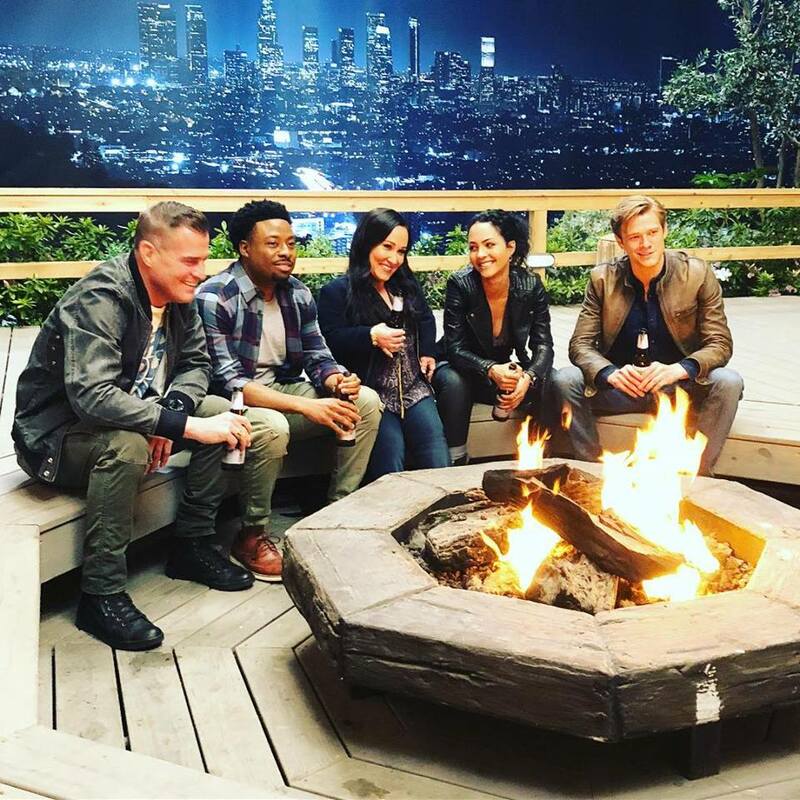 The Press Release for tonight’s Season Finale (2×23: MacGyver + MacGyver) confirmed that Billy Baldwin (Elwood), Lance Gross (Billy Colton) and Reign Edwards (Leanna) are back. Both Lance and Reign are attached to shows and projects already, but that shouldn’t stop them from making an appearance next season; along with the other Colton family members. 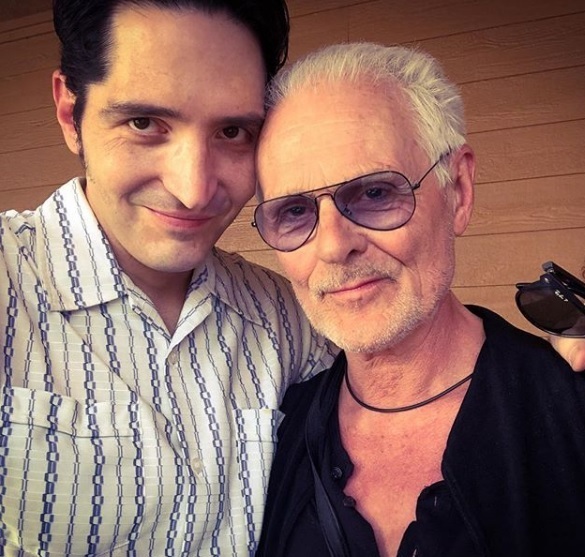 David Dastmalchian’s Murdoc is a likely bet and Michael Des Barres and his fans have been very vocal about wanting to see him back on the show. Kate Bond’s character Jill is listed as recurring cast for tonight’s episode, which means she will probably be the first recurring character for the show. Depending how today’s Season Finale ends and how much drama is still unresolved, it’s also very likely that Oversight (played by Tate Donovan) will return as a recurring character. Hm. That didn’t really happen, did it? There were girls, but they either died (Zoe in 2×10), were exes that had broken his heart (Allie in 2×13) or were fake-wives that already belonged to someone else (Leanna in 2×16). Wonder what will be in store for next season? I wonder if he meant tonight’s plot twist or just the fact that Mac is finally meeting his father today. I hope we get a new Interview with Lucas soon; e.g. a short overview of this season and what he’s expecting for the next one. The rerun of Season 1 does still pretty well in Austria. The live-audience numbers are usually in the range of 50-60’000 viewers, but fell to a meager 26’000 last Saturday. This might have been due to the warm weekend weather or the airing of Formula 1 before. There’s finally a date for the DVD-Release for Season 1 in Germany: July 6. There’s no further infos on the extras yet, but of course I hope there will be the same Extras on it as for the UK and the French version. Only 2 episodes left – but at least we know there will be more episodes in the Fall, because the show got renewed for a 3rd Season! Main production wrapped on March 24, cast and crew celebrating a small Wrap Party in Atlanta for the Atlanta-based crew the next day. 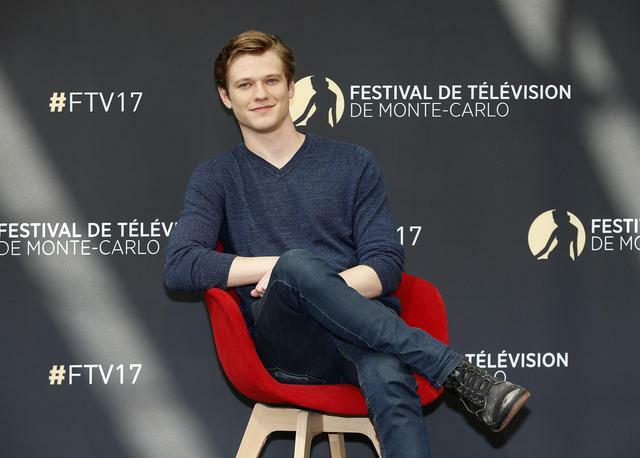 Of the main cast, apparently only Lucas Till and Justin Hires attended the festivities, so there were not that many pictures or videos. There was another wrap party in LA on April 21. Together with some cast and crew members of Hawaii Five-0, Executive Producer Peter Lenkov took his people bowling – to the same location as last year. There was also cake. Lenkov posted several pictures of the event; and took the opportunity to promote the auction of his son’s project “Wyatt’s Garage”. The main cast signed a hat that was auctioned off for a good cause (the auction closed at 750 US Dollars). 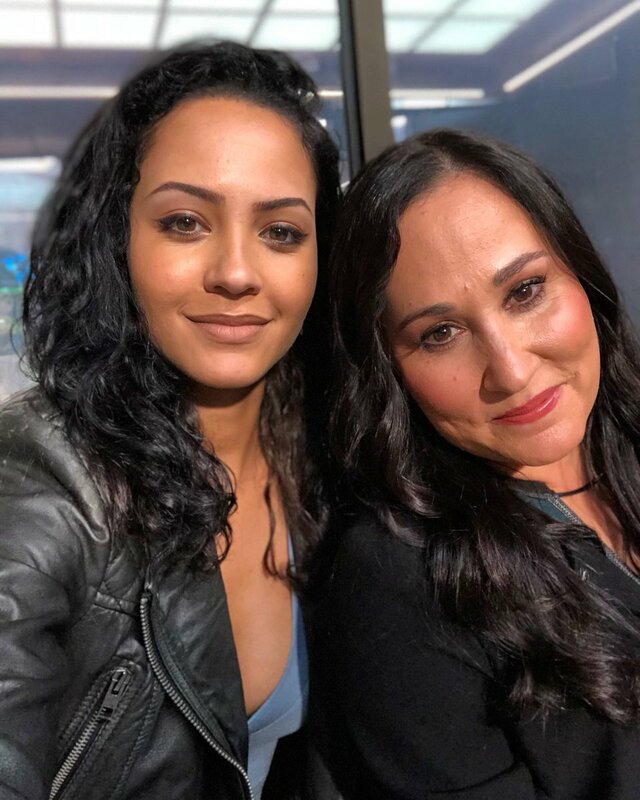 While Justin Hires had uploaded some videos on his YouTube account, Meredith Eaton shared photos of her with Tristin Mays and with her favorite Costume Departement person. Same as last year, George Eads was not at the LA Wrap Party, but signed the charity-hat on another day so all signatures are there. 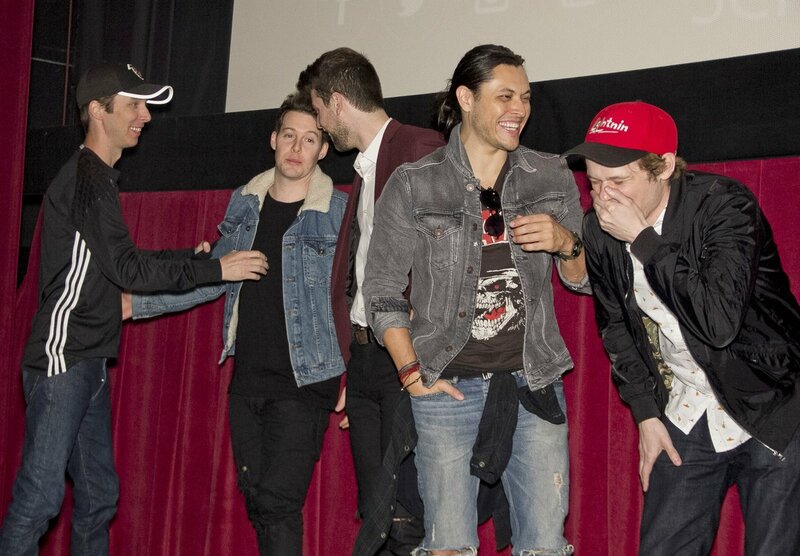 To make up for George’s absence, some of the LA-based guest-stars attended the event; e.g. David Dastmalchian, Diogo Morgado (Mac’s friend Carlos from last week’s Episode 2×21), half of the Colton family (Lance Gross and Sheryl Lee Ralph) or Michael Des Barres. Maybe a hint that we will see them again next Season? 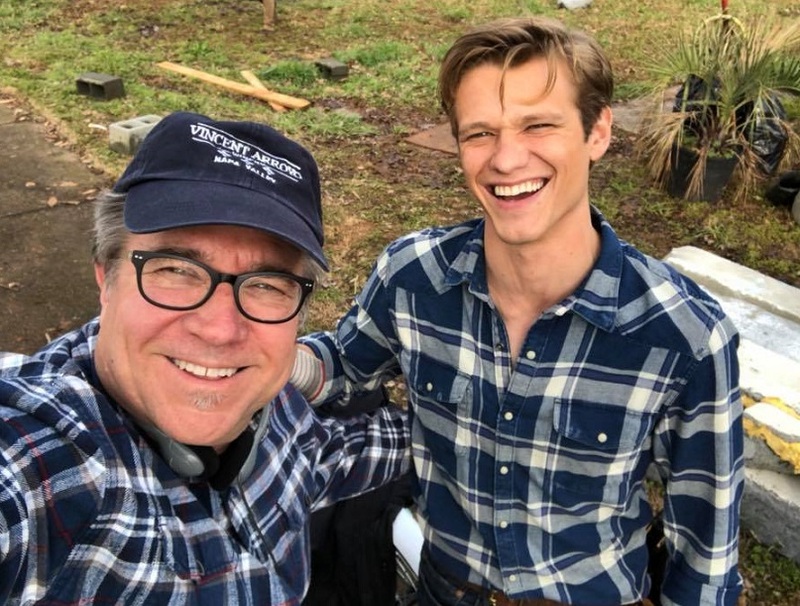 Lucas Till had come back from his “Social Media Hiatus” for the premiere of Episode 2×20 (Skyscraper – Power) and posted several more BtS pictures for Episode 2×21 (Wind + Water) last week. It’s nice to see so many writers and cast members come online last Friday after being more or less absent since production wrapped. We also got some nice BtS photos of the Extras and guest-stars; e.g. via Todd Jenkins or Isabel De La Cruz for Episode 2×21 or via Christopher Frontiero for tonight’s Episode 2×22 (UFO + Area 51). 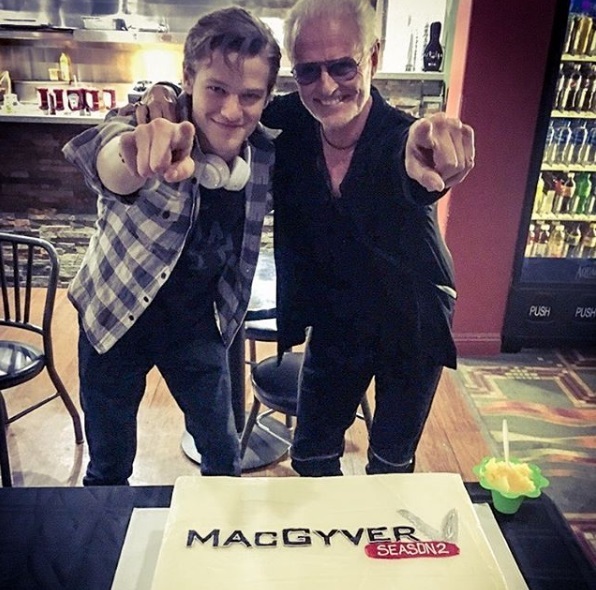 As Todd Jenkins revealed, his wife had created a MacGyver-Cake for the group of friends that watched the premiere of Episode 2×21 with them. 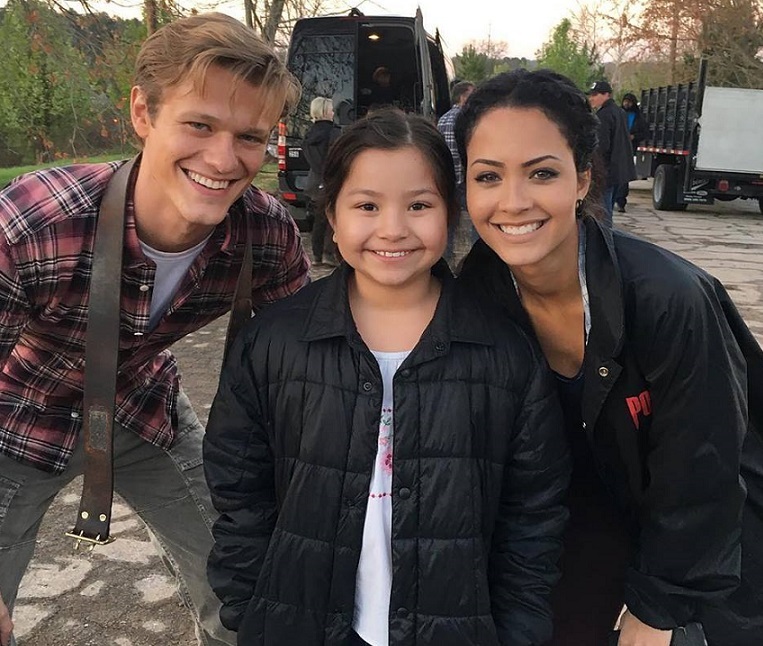 Ava Davila (who played Carlo’s daughter in 2×21) has posted several BtS photos, all pictures of her posing with each main cast member and also with her “fake” dad. The crew provided some new BtS pictures as well; e.g. of the pole-crashed car or of the rusted truck before it was rusty. You might have already heard that the wait for the official confirmation is over: The Reboot has been renewed for a 3rd Season! Executive Producer Peter Lenkov already gave us a teaser of the new logo after the news hit on April 18 – only to post another, refined version the next day. There’s no further information yet, but I’m assuming it will be a direct Full Season Order of 22 episodes, with a Premiere date in September like last year. We might have to wait for the definite CBS timetable until the Upfronts on May 16. But since both Hawaii Five-0 and Blue Bloods have been renewed as well, there is a good chance that the “Trifecta” will stay untouched. On April 10, we got the Press Release for Episode 2×22 (UFO + Area 51). There was only one Official Still when I was typing up the blog post this afternoon and not much BtS material for this episode. Only a few hours ago, SpoilerTV added 3 more Stills, all of them featuring Mac and Jack with racing cars and their pilot. 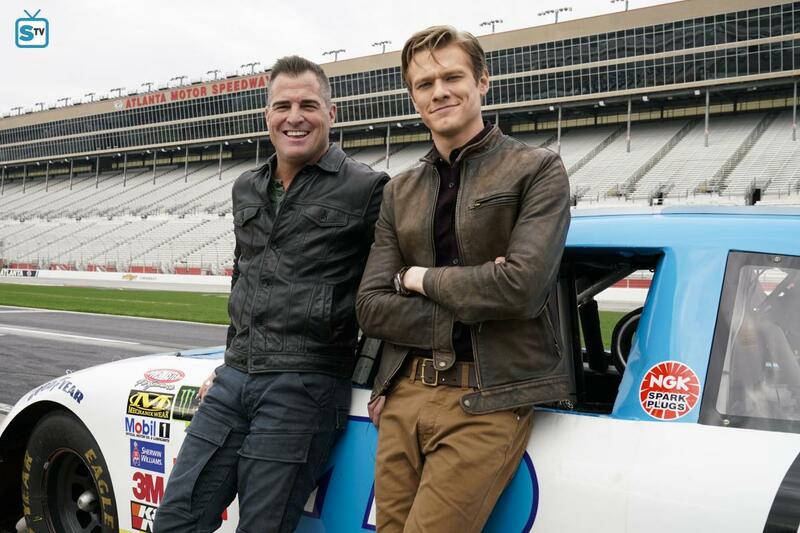 According to comments by Greg Perrow, the NASCAR scene (filmed at the Atlanta Motor Speedway) might be the Opening Gambit for tonight. It seems to be a nod to the Original Show; specifically Episode 4×05 (Collision Course, 1988), so many fans have been interested and asking questions since the first BtS pictures and videos popped up. There were a few more exclusive storyline insights via TV Line, though: Mac and Riley get the chance to examine a mysterious object that crash-landed in the Nevada desert, while Jack – a “believer” – does not. According to this article, it’s possible that there’s a mini-cliffhanger at the end of the episode. 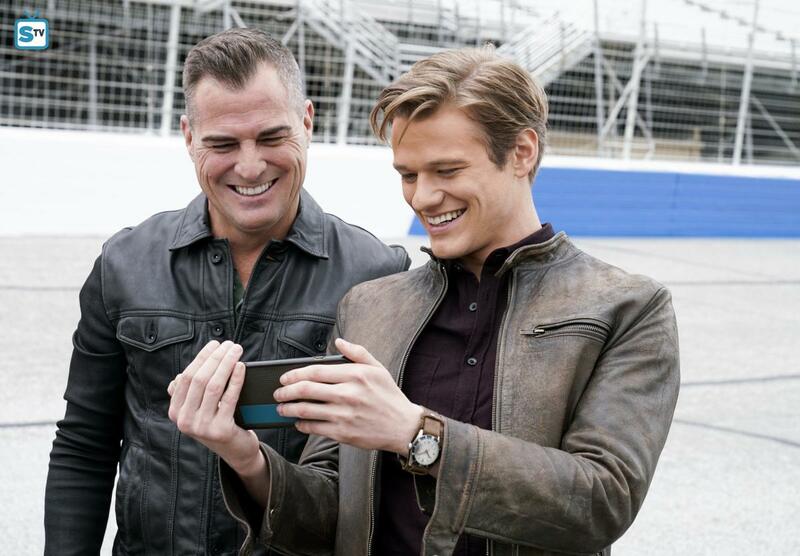 The Season 2 Finale titled “MacGyver + MacGyver” airs next Friday, on May 4. 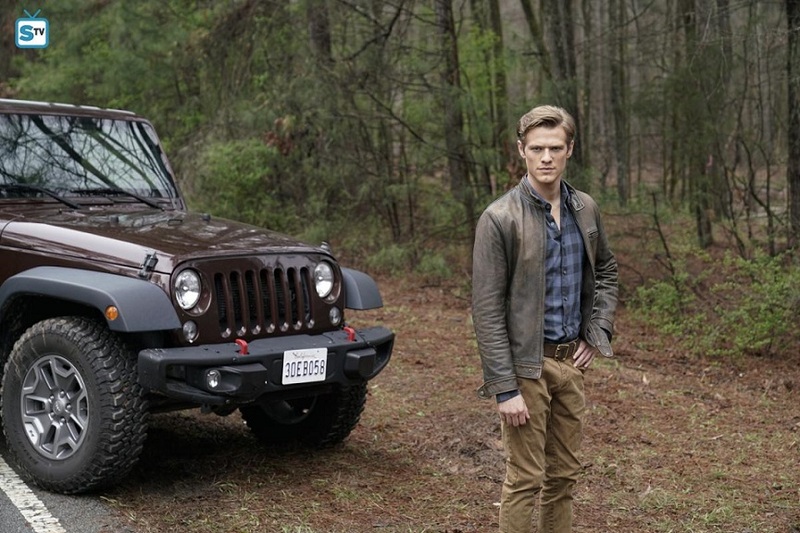 We already got a bunch of more Stills by April 23, but alas: There was a Jeep, but no sign of MacGyver Senior. It was TV Line that granted us an exclusive First Look of Tate Donovan as Oversight. 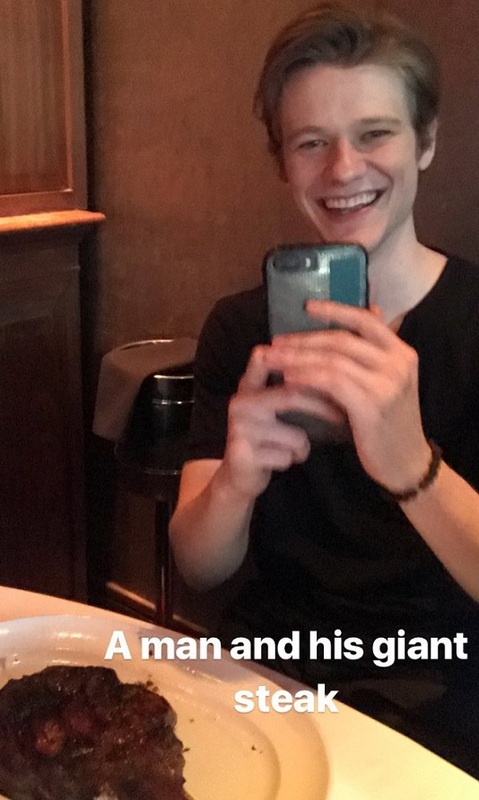 Yes, I sure can see the resemblance. 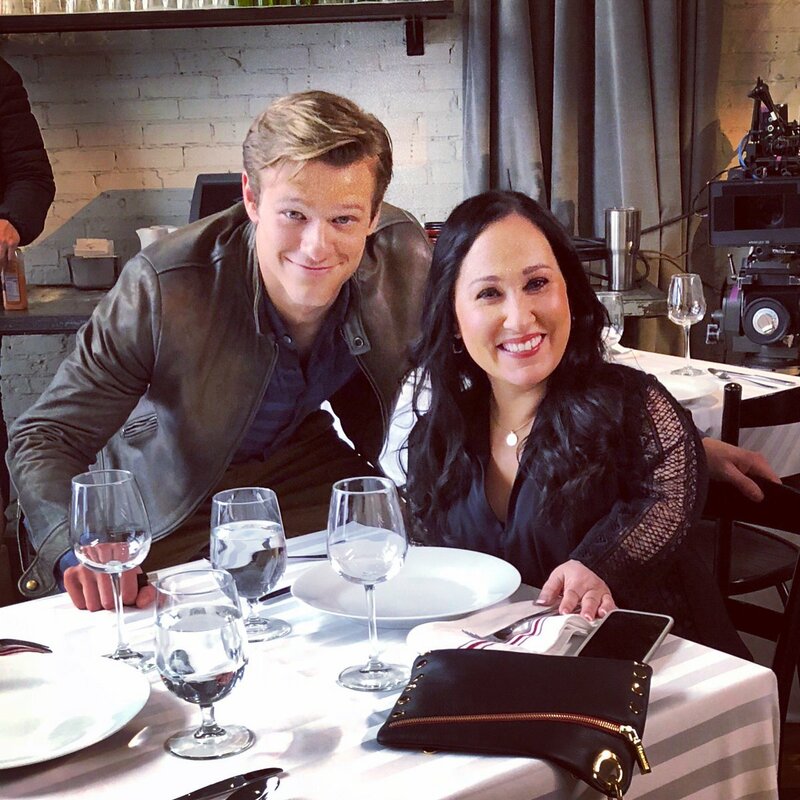 The recent pictures shared by Meredith Eaton also seem to be part of the Season Finale; two of them featuring Mac and Matty having a “Dinner Date”. To freshen up your memory: Episode 2×19 (Benjamin Franklin + Grey Duffle) had managed 6.68 million live viewers with a 0.8 demo-rating while Episode 2×20 (Skyscraper – Power) had an audience of 6.38 million live viewers (also with a demo of 0.8). As expected, there has been a steady loss of audience numbers nearing Summer, and that happened again last week: For Episode 2×21 (Wind + Water), about 6.27 million live viewers tuned in (with the usual 0.8 rating in demo). So far, Season 2 had an average demo-rating of 0.85 with 6.93 million live-viewers per episode. While the audience numbers are falling slightly with every episode, the fanbase isn’t. Last week’s episode brought many people forth – even first-time viewers – who complimened the show on social media, applauding the episode being set in a country that still needs help, despite its situation being more or less “invisible” and therefore unknown to the rest of the world. Cast and Character News: Is that a Plot Twist I see? 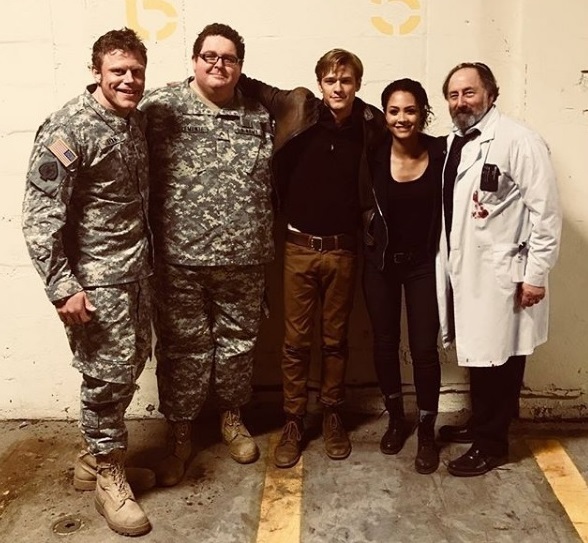 Because there were no news about the Season Finale when writing Update 52, I had combed through the Casting Calls again to see if I had maybe missed the casting for Stand-Ins or Photo Doubles for MacGyver senior. A Call for a Stand-In hinted at Joshua Childs having a part. He would have certainly fit age-wise, but as it turned out by April 10, he’s part of tonight’s Episode 2×22 as a member of the NASCAR pit crew. 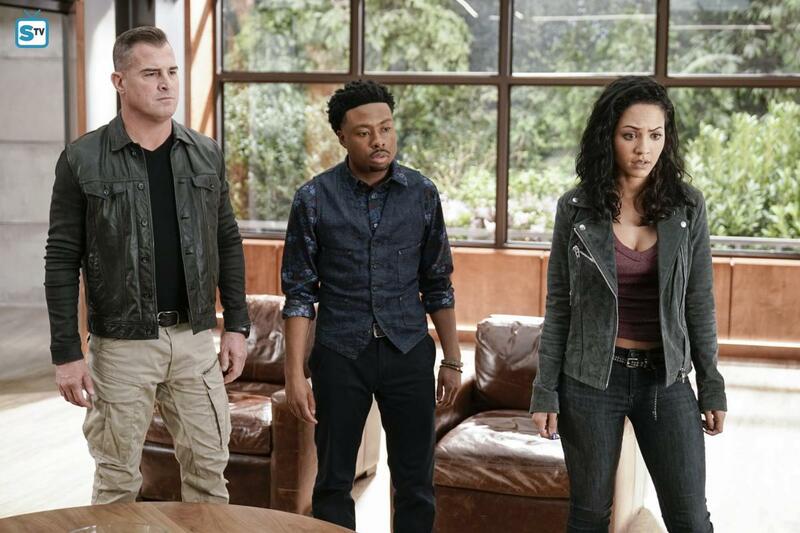 The Press Release for next week’s Season Finale (2×23: MacGyver + MacGyver) confirmed that Billy Baldwin (Elwood), Lance Gross (Billy Colton) and Reign Edwards (Leanna) will be back. That’s a lot of potential for some relationship drama and for a change in the team dynamics and maybe even new set locations (e.g. Bozer and Leanna breaking up or Riley moving in with Billy). Kate Bond’s character Jill is listed as recurring cast, which means she will probably be the first recurring character for Season 3. Although the episode title indicates that MacGyver Senior will be in the episode, there’s no one listed as Mac’s dad – at least not at first glance. 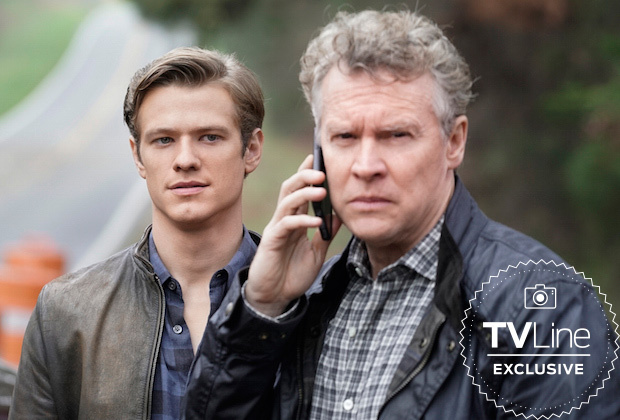 So far, the best guess is still that Mac’s father is Oversight, played by Tate Donovan – especially since he’s mentioned as the “special” guest-star who has a history with Matty. If this not-so-surprising Plot Twist turns out to be true, he hopefully returns as a recurring character next Season as well. After all that build-up with the mystery about Mac’s “missing” dad, it would be a weird choice to not explore the possible fall-out of Mac getting to know the truth while we have so much backstory between Riley and her parents. The Reboot continues to do well in Austria. The live-audience numbers have fallen a bit now that the weather gets warmer, but continue to be in the range of 50-60’000 viewers. The German FreeTV premiere of Episode 1×16 (Hook) will air on Sunday. Curiously, it looks like they will skip Episode 1×19 (Compass) again on their 2nd airing cycle. Some episodes have been cut to fit the FSK12 rating for afternoons (similar to a PG-13-rating in the US), so that shouldn’t be a problem. It’s possible they want to premiere the Episode on primetime, ahead of Season 2. While the DVD-release for France is set for May 2nd and French Channel M6 just aired Episodes 2×13 and 2×14 tonight, there’s still no news about the DVD-release for Season 1 in Germany or the German-speaking premiere of Season 2. Filming of Season 2 has officially wrapped. Including the Season 2 Finale on May 4, there’s 3 episodes left to enjoy – but there will be more this year, because the show got renewed for a 3rd Season! 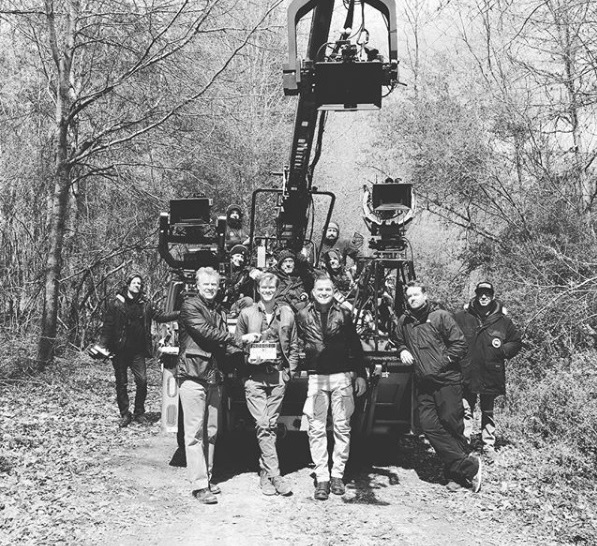 Despite wrapping up main production on March 24 and celebrating a small Wrap Party in Atlanta, some crew members and Stand-Ins continued filming additional scenes and inserts until the end of March. Things got pretty quiet after that – at least until the “big news” hit on Wednesday. Some of the crew members have started working on other projects, others are enjoying a holiday. Besides Justin Hires, the main cast has more or less disappeared as well and only “pops” up every now and then. George Eads posted two new photos on Instagram yesterday while Lucas has appeared on one or two Instagram Live Stories posted by friends. 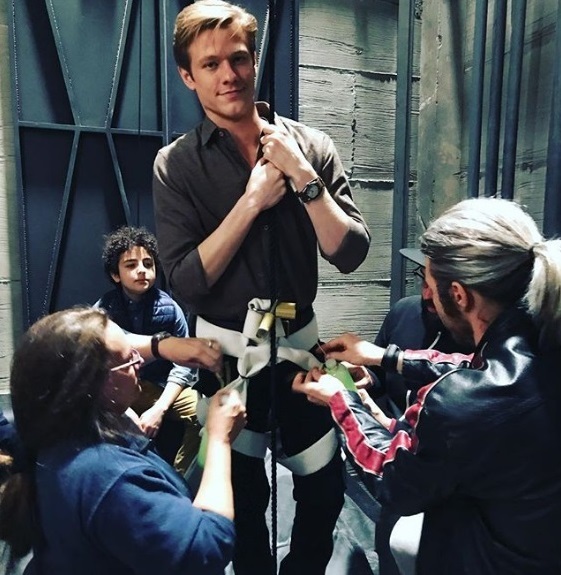 He came back from his “Social Media Hiatus” specifically for the premiere of last week’s episode 2×20 (Skyscraper – Power), posting a new BtS photo of the elevator stunt with Elisha Henig. In the photo, you can recognize Prop Master Kate Guanci adjusting the “MacGyvered” lights. As Stunt Woman Juliana Potter revealed, it was her doubling Elisha in this scene, providing a nice picture of them looking like twins. While it’s a wrap on the filming process, there’s of course still post-production stuff to do – ADR, editing, composing music and more. 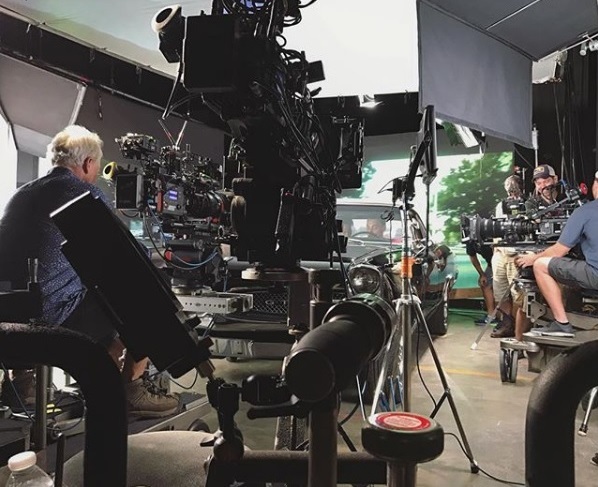 Also, it’s still not a wrap on the BtS pictures: Every time an episode airs, some of the guest-stars provide new photos of the filming process; often of some earlier episodes as well. Brooklyn Davis had let the crew film inside her house for Episode 2×19 (Benjamin Franklin + Duffle Bag). 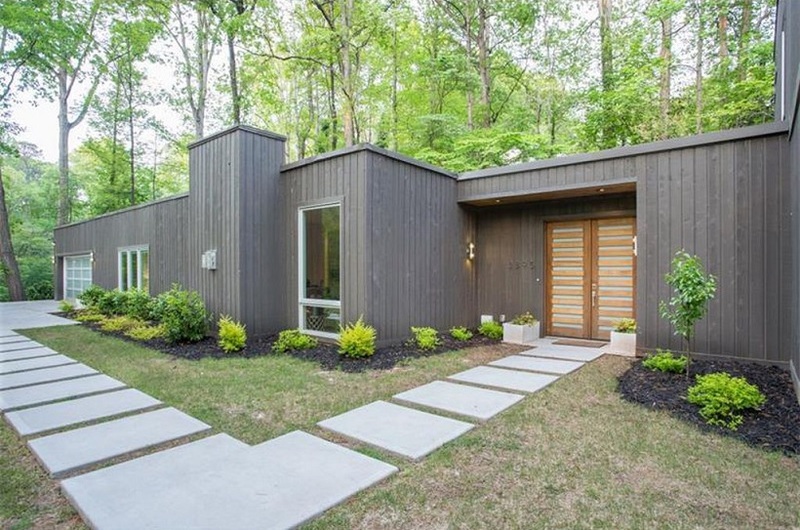 In her Instagram post, you can see how they hid the fake money behind the (fake) walls. Since I’ve been on holiday for several weeks, I often stumble over pictures posted a while ago; e.g. of Mark Manos who directed today’s episode 2×21 (Wind + Water). Sometimes, it’s also pictures of the Unaired Pilot that shall not be talked about. Last year, there was a “mass-announcement” for the CBS renewals at the end of March, so of course fans were getting impatient to know the fate of their favorite shows. On Wednesday, the wait was finally over: The Reboot has been officially renewed for a 3rd Season! So far, we have to wait for the definite CBS timetable until the Upfronts on May 16. But since both Hawaii Five-0 and Blue Bloods have been renewed as well, there is a good chance that the “Trifecta” will stay untouched. 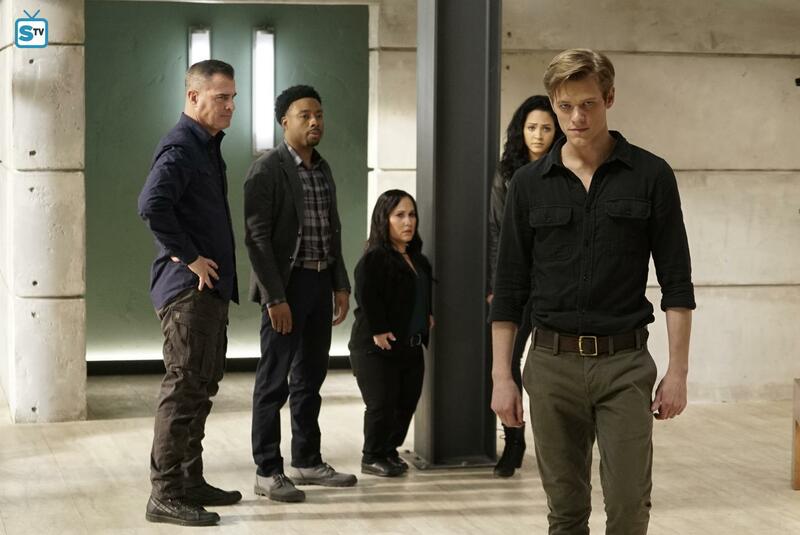 Several websites are speculating about the possibility to move MacGyver to Mondays, especially since the fate of the struggling Monday comedy lineup is still unclear and Scorpion (that also airs on Monday) hasn’t been renewed yet. There’s no information about the number of episodes, but I’m assuming it will be a direct Full Season Order of 22 episodes, with a Premiere date in September like last year. Cast, crew and writers were very happy to announce and share the news. 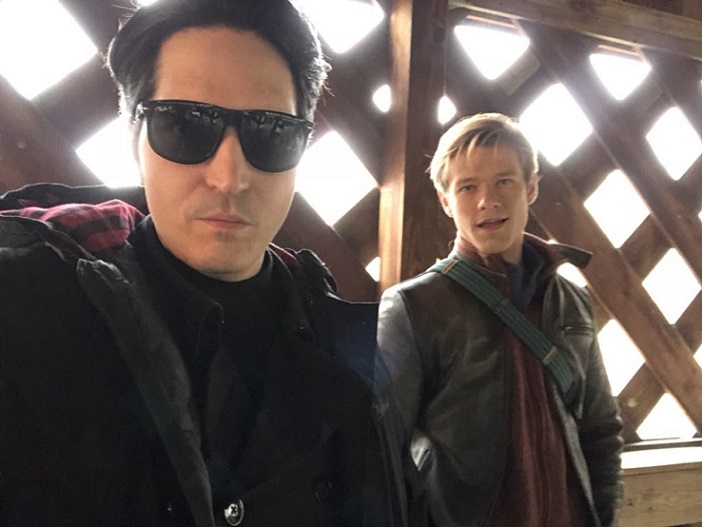 David Dastmalchian posted a new BtS photo of him with Lucas Till in Episode 2×15 (Murdoc + Handcuffs); promising to be back next season to finally take out the “blond boyscout” once and for all. Executive Producer Peter Lenkov already gave us a teaser of the new logo after the news hit – only to post another, refined version the next day. Looks like they changed their mind over night – similarly to Sesaon 2 when also two different versions of the logo floated around in the beginning (one provided by Craig O’Neill, the other by Lenkov). Tonight’s Episode 2×21 (Wind + Water) was written by MacGyver-creator Lee David Zlotoff (who also wrote Episode 1×19: Compass). While we got the Press Release a while ago, Offical Stills were only added yesterday. Almost all of them feature the main hero on his own. Today, they added 3 Sneak Peeks as well. On April 10, we got the Press Release for Episode 2×22 (UFO + Area 51). There’s not much info and only one Official Still so far, but hopefully, we get more photos soon. The Season 2 Finale will air in two weeks, on May 4. As the Press Release confirmed on April 16, Episode 2×23 is titled “MacGyver + MacGyver”. 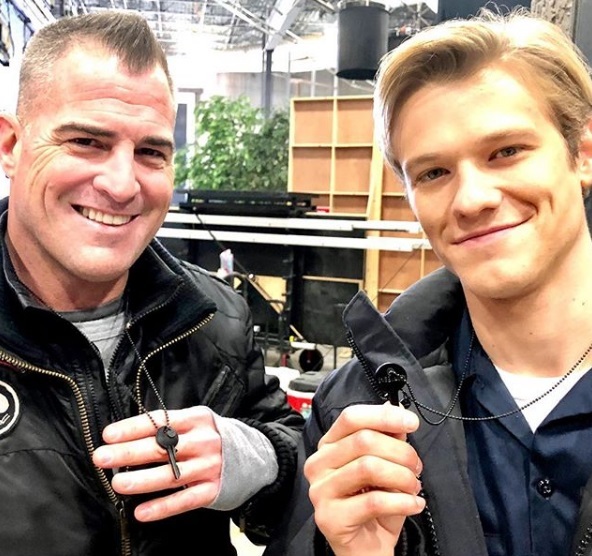 In an interview back in January, Peter Lenkov had promised we’re going to meet MacGyver’s father by the end of the Season, so of course the cast list enforced the questions and the speculations about MacGyver Senior (more about that further down). To freshen up your memory: Episode 2×18 had reached 6.43 million live viewers with a demo rating of 0.8. With the DVR ratings, it added another 1.83 million viewers within 7 days, making it a total audience of 8.26 million people in the +7 ratings. Episode 2×19 (Benjamin Franklin + Grey Duffle) managed 6.68 million live viewers with a 0.8 demo-rating while Episode 2×20 (Skyscraper – Power) had an audience of 6.38 million live viewers (also with a demo of 0.8). As expected, there is a steady loss of audience numbers nearing Summer. But with the enforced promo for tonight’s episode and quite a few guest-stars with vocal fans on social media, it might be possible to get some higher numbers today. Although it ranks 21st out of the 25 scripted CBS TV shows in the demo, it rises to 11th place, in terms of average total viewership. 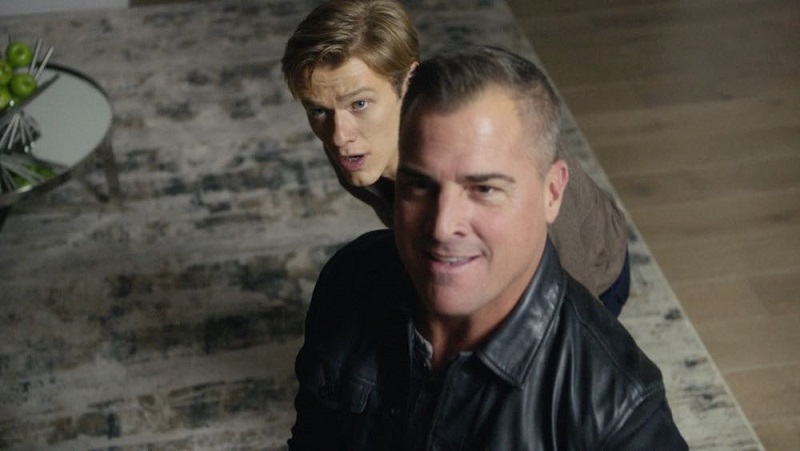 While MacGyver has not necessarily been a critical darling, it has done respectable business on Friday and has done well internationally for CBS based on its recognizable title and popcorn, procedural nature. It draws a respectable 8.5 million viewers and has been able to reenergize CBS’ Friday drama lineup when it joined it last season. Cast, Crew and Character News: Is that a Plot Twist I see? 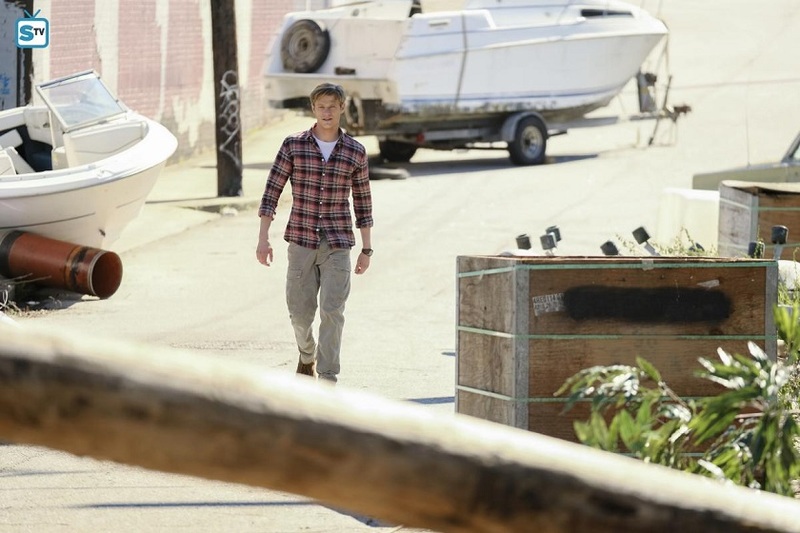 In tonight’s episode (2×21: Wind + Water), Diogo Morgado will guest-star as Mac’s friend Carlos. According to TV Insider, Kamar de los Reyes will act as a police officer trying to negotiate after Mac was taken hostage by robbers in a bank. 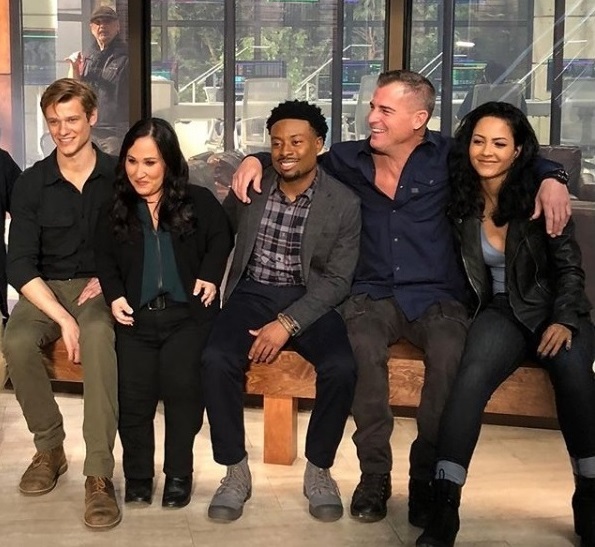 Because there were no news about the Season Finale when writing my last Update, I had combed through the Casting Calls again to see if I had maybe missed the casting for Stand-Ins or Photo Doubles for MacGyver senior. A Call for a Stand-In hinted at Joshua Childs having a part. He would have certainly fit age-wise, but as it turned out by April 10, he’s part of Episode 2×22 (UFO + Area 51) as a member of the NASCAR pit crew. The Press Release for the Season Finale (2×23: MacGyver + MacGyver) confirmed Billy Baldwin (Elwood, Riley’s father), Lance Gross (Billy Colton, Riley’s boyfriend) and Reign Edwards (Leanna, Bozer’s girlfriend) being back. Curiosly, there’s no one listed as MacGyver Senior in the cast list although the title indicates he will be in the episode. The Press Release for the Season 1 Finale had been a bit spoilery, so there’s the possibility that Mac Senior is “hidden” behind a character’s name. So far, the best guess is that Mac’s father is Oversight, played by Tate Donovan. 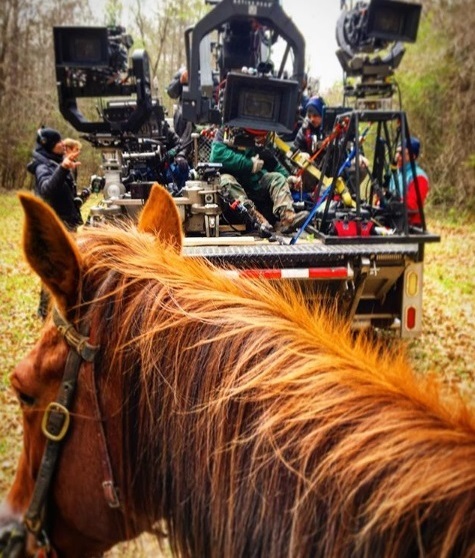 He fits age- and looks-wise and judging by BtS pictures, he’s also in the scene with Mac and Jack riding horses. Oversight has been mentioned several times since Season 1. It would be nice to finally have a face to the faceless person(s) representing this ominous board that so far never dealt with their agents on a personal level. The Season Finale Press Release lists Kate Bond’s character Jill as a recurring role (the first one for this show), which means we will probably see a lot more of Jill in Season 3. On the other hand, we also know that there will be a change in the crew personnel and maybe also in the action scenes: As Stunt Coordinator Jeff Wolfe revealed on Twitter, he has not been invited back, despite winning the show its only Emmy Nomination (so far). 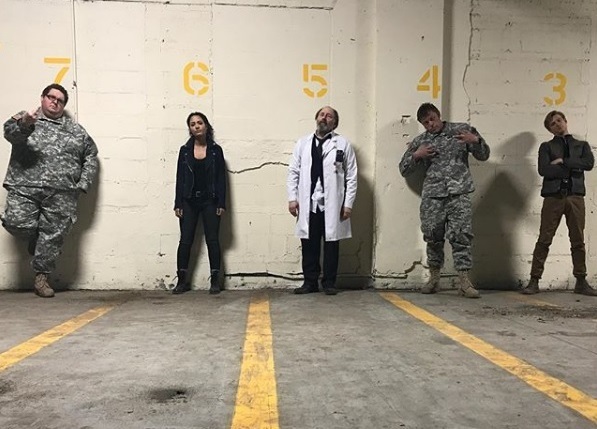 Also, one cast member might be missing: As TV Line stated on April 10, a source told them that there are no plans for Isabel Lucas as Samantha Cage to return. While I wasn’t sold on her character’s introduction, I felt she could have been useful as another field agent in a recurring capacity. Cage’s fate seemed a bit hurried and unplanned and not like an exciting plot twist. Her absence therefore feels unresolved to me; especially since there are still some unanswered questions: What did Murdoc have against her personally and why did he know she had changed her name? I really hope she will have at least another guest-gig on an episode next season to get some answers. 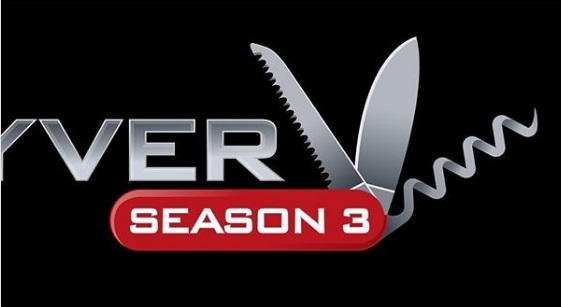 On April 15, German channel Sat.1 aired Episode 1×11 (Scissors) for the first time on German FreeTV since they had skipped 3 episodes when airing Season 1 on primetime last year. The German FreeTV premiere of Episode 1×16 (Hook) will air on April 29. There’s still no news about the German-speaking premiere of Season 2 or the DVD release for Season 1. Guess we’ll have to wait for a bit longer.